As part of the A to Z Blogging Challenge, once we post our blog entry for the day, we are supposed to go through this list, visit other blogs and comment. I’ve been checking out the next four blogs after mine,and one (TR) or Travel blog each day! The other day I found this great blog entry written by Jeremy about traveling alone. Travel can be a completely different experience whether you’re in groups, as a couple or on your own. I quite enjoy “lonesome traveling”. It prevents distractions and allows me to see things more clearly and better immerse myself in the local culture. 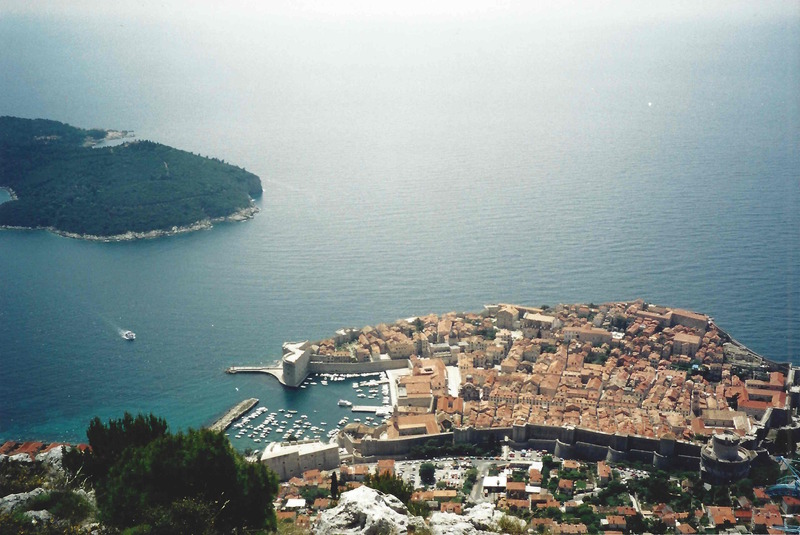 One place I visited alone was Dubrovnik, Croatia. 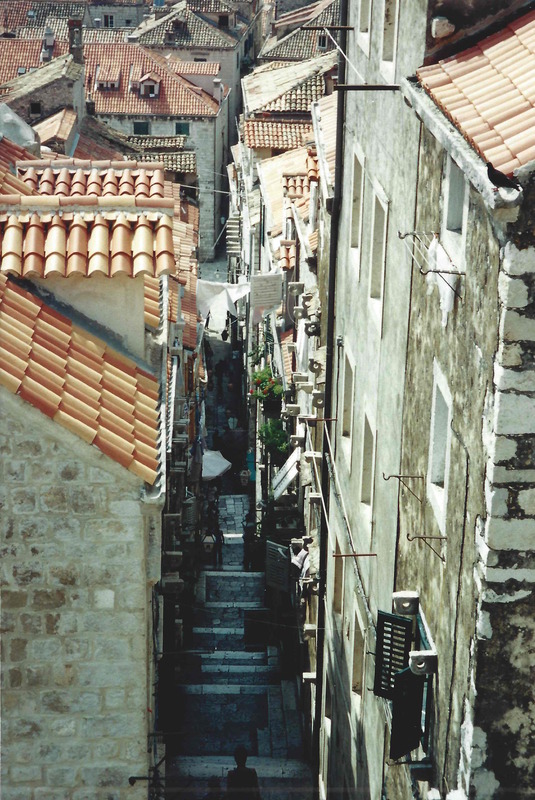 A UNESCO World Heritage Site, Dubrovnik is a fascinating walled city on the Mediterranean. Despite its protected status, the Yugoslav People’s Army didn’t seem to care and besieged the city for seven months in 1991 and 1992, destroying more than half of the city’s infrastructure. It didn’t take long following the most recent Balkan’s conflict to begin rebuilding efforts in the original style and originally used material. 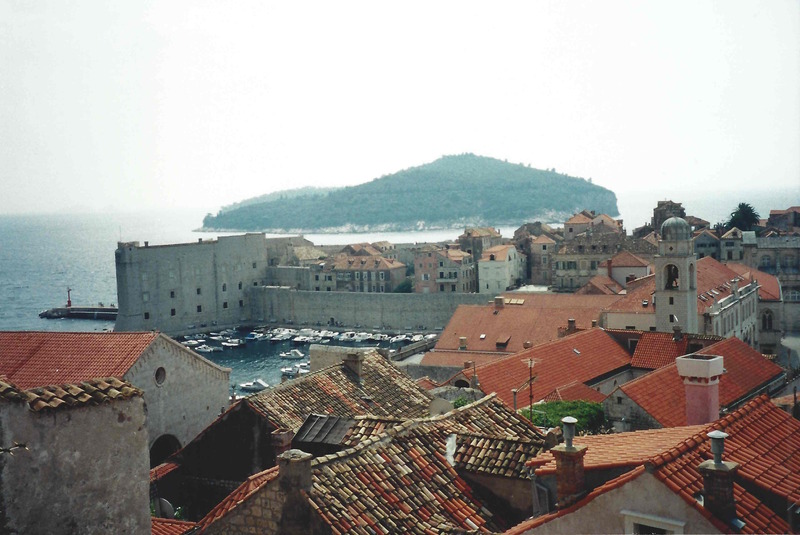 Back to traveling alone: I spent four days in Dubrovnik, simply walking around the city, taking in the sights and sounds, and concentrating on the remnants of a not-forgotten war. It was amazing how much was reconstituted in only eight years and how quickly the city gave the appearance of returning to a normal life. 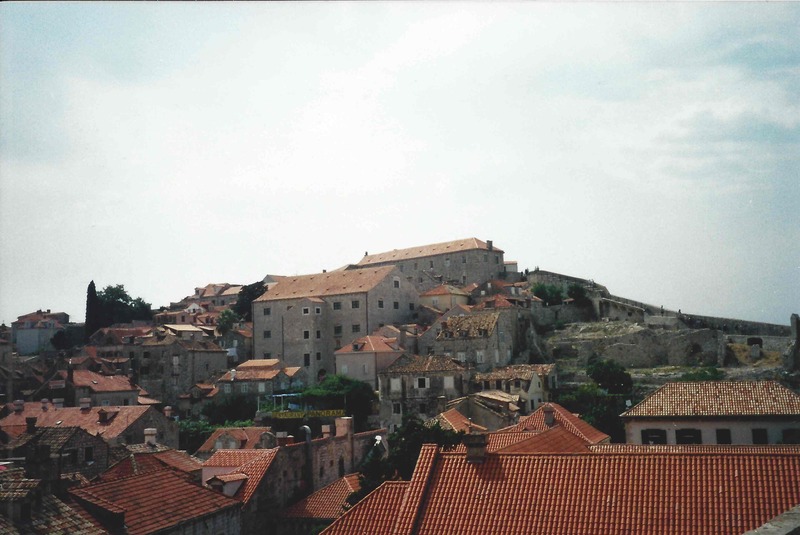 ** Neat Fact: Most recently, Dubrovnik has been used as various sets for the television show The Game of Thrones, depicting the city of King’s Landing. Enjoy my pictures. Taken in 2000, before I could afford a digital camera! 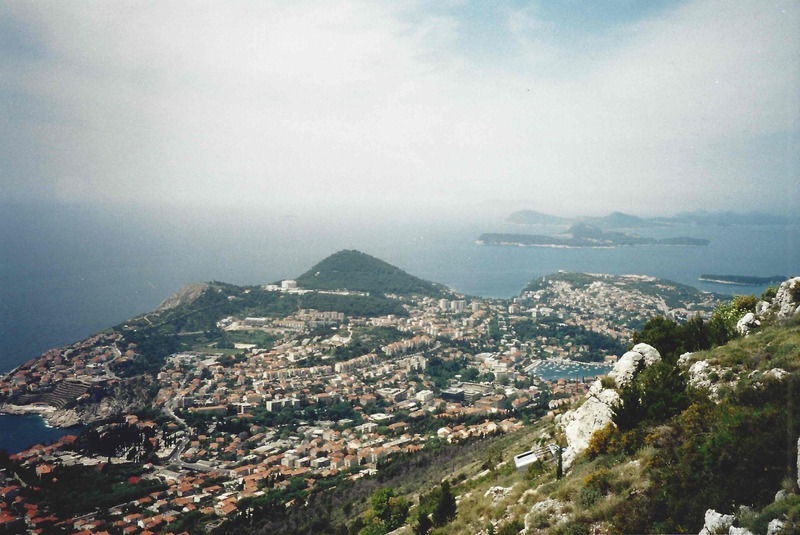 Dubrovnik from above. Looks like they had cable cars prior to the war – see bottom right corner of photo. It is especially sad when beautiful cities get destroyed. It shows their strength when they look beautiful again. Lovely pictures. I hope that was after the war. Such a shame when beautiful cities get destroyed. What a beautiful story. Great photos too. I love traveling alone as well. More freedom, no doubt. I bookmarked you for a return trip. My parents went to Croatia for their church. They loved it there, although I think they had a hard time learning the language. I can’t speak for travelling alone, but I went on a hike by myself a few weeks ago and I loved it! It was so peaceful. I know just what you mean about traveling alone. I love it too. I do a lot of people watching and am more likely to have interesting conversations with strangers when I’m alone. Good travel post. As someone who cannot afford to travel it is nice to read about other places. I think I like the A to Z Challenge because it enables me to travel to the far reaches of the globe without spending more than my Internet connections. I especially like to drive long distance alone. I call it my “traveling think tank.” Open road, tunes, and my thoughts.